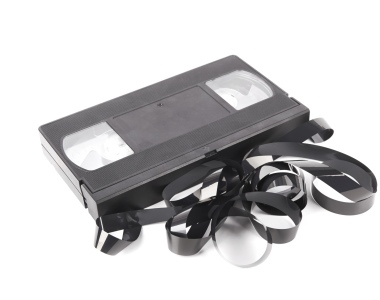 Are you as relevant as a VHS? You can still be extremely relevant -- if you choose to be. In PPACA World, brokers may be clients' only protection against quicksand. I recently saw a full-page newspaper advertisement that Radio Shack ran back in 1984. It featured such electronic wonders as a desktop computer, a VHS camcorder, a “mobile cellular telephone,” a deluxe portable CD player, a phone answering machine, a voice-actuated cassette tape recorder, an AM/ FM clock radio, a micro-thin calculator and in-ear stereo headphones. The total cost of those items (and remember, this is in 1980 dollars) came to $2,894. Today, a small device that fits in our pocket handles everything (and much more) that those 1984 devices could do and costs about 80 percent less. Here’s today’s big question: Do you want to be 1984 Radio Shack or 2014 Apple? The good news: it’s completely your choice. Aflac recently asked 300 brokers to rank their top concerns about today’s benefits business environment. Twenty-seven percent worry about client uncertainty concerning health care reform. Twenty-six percent are concerned about the need and methods to use in diversifying their benefit offerings. Nearly a third (29 percent) expressed worry about remaining relevant. Thirty-eight percent are anxious about understanding the impact of health care reform. The thing that troubled most of them (48 percent) is how the rising cost of health care might affect client decisions. Adding a bit of color commentary to the Top 5 List, nearly half of those surveyed said that they had considered leaving the business. Two-thirds said that many of their peers had already left the business. All of these observations are equally troubling, but for very different reasons. The “who do you want to be” question belies a very cogent reality. Every industry, save ours, has undergone transformational change. Now it is our turn. It is true that some have left the business and that others are contemplating career changes. I know I am going to catch some flak for saying this, but if we lose the “stuck on spreadsheet” folks, we will all be better off – and so will our clients. As for the top five concerns in Aflac’s survey, there is good news there as well. Yes, there is uncertainty, but that uncertainty provides an opportunity to rethink your business model. It is the number of respondents who worry about remaining relevant that is more concerning – especially in light of the biggest worry: how rising costs might affect client decisions. The sound made by those two things banging together is opportunity knocking. The daily headlines tell of the opportunity. As of this writing, 18 states were given permission to opt out of SHOP due to concerns about the program creating adverse selection. The Wall Street Journal recently ran a front-page headline that read, “Some Still Lack Coverage Under Health Law.” It isn’t just the headlines, but day-to-day survival that is bedeviling your clients. If you have any hair left after last open enrollment, have you pulled it out while trying to help your client with a qualifying event? Yikes! Clients who try to handle their benefits programs themselves are tap dancing on quicksand. While they may (ultimately) need products, what they need much, much more is someone who can advise them in a very different manner than the spreadsheeters of old. They need consultative services, and you are the only folks well positioned to give it to them. In my weekly ShiftShapers podcast I get the chance to talk to industry innovators and thought leaders. Each one has a different business model and unique value proposition. Yet as different as they are, they have one overriding characteristic in common: they all believe that we are at the beginning of a new age in employee benefits and that brokers are a vital channel. Even the one or two who aren’t currently working with brokers are actively working on broker-centric models. Despite the concerns of those Aflac survey respondents, the only way brokers will cease to be relevant is if the way they service clients looks like it too was advertised with those other 1984 relics.